The CET Delhi 2019 is conducted to fill various full-time diploma seats at the eminent polytechnic institutes of Delhi. The official hall-ticket of CET Delhi Polytechnic Exam 2019 will be released on 01st June 2019. Applicants can download their admit card from the official website- https://cetdelhi.nic.in/. The annual summit of Delhi Polytechnic Common Entrance Test is directed by the Directorate of Training and Technical Education, Government of NCT, Delhi. Through this exam, meritorious apprentices get a broad spectrum of opportunities to pursue a career in the field of engineering, medical, technology, fashion, etc. Through this article, apprentices will get to know the informative details of Delhi CET Polytechnic 2019 Admit Card. Read on to find out. The official CET Delhi Polytechnic Exam Admit Card will be provided to applicants in the first week of June 2019 via online mode only. Information like application number, exam venue, roll number, and other details must be printed on the Delhi Polytechnic Hall Ticket 2019. Candidates are advised to print a copy of their hall-ticket before the commencement of the exam. Check important dates and comprehensive schedule of the exam in the below-mentioning table. Students are advised to come along with their admit card at the premises of the exam venue. Without a copy of admit card, apprentices are not allowed to enter in the examination hall and appear in the exam. Here you can find all the necessary steps to download your CET Delhi Polytechnic 2019 admit card. Visit and open the website link of Delhi CET 2019. 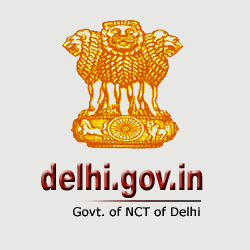 Now search for Delhi CET 2019 Admit Card tab and click on it. A new window will appear on your screen, enter your Application Number/Roll Number and Password credentials. View your hall-ticket and click on Download option. Finally, command on Print and take a copy of CET Delhi Admit Card 2019 at the examination premises. The admit card of Delhi Common Entrance Test 2019 have comprised all the essential details related to the exam including Candidate Name, Application Number, Test Number, Roll Number, Gender, Date of Birth, Father Name, Mother Name, Address, Category, Signature & Thumb Impression, Venue Name & Address, Exam Time & Date, Photograph, etc. Apprentices are recommended to verify all the printed details on the admit card before the beginning of the exam. Participants have to keep these important instructions in mind while appearing for CET Delhi Polytechnic 2019. Let’s take a look to find more details. For the commencing exam, apprentices can be able to use black ball point pen only. Any electronic devices (mobile phone, calculator, log tables, etc) are not acceptable inside the examination hall. Before coming into the examination centre, check the admit card very carefully. In case of any discrepancy contact help desk support. Apprentices have to report 30 minutes prior to the exam venue. The exam will begin at 10:00 AM in the morning and at 02:00 PM in the evening. Any misbehaviour or unfair means in the examination hall will direct to cancel the exam. Students have to hand over their answer sheets to the invigilator presented in the examination hall before leaving the classroom.